If you wanna be happy on a consistent and regular basis you need to know what your specific strengths are, and you need to consciously be using them every day. Your strengths are your, preferences, characteristics and interests. They are the things that you naturally do well and that you enjoy. They are unique unto you. See them as your 'Gift' to the world. them to find and feel purpose and happiness in your life. 1. A 2012 Gallup Study about strengths, revealed that the more hours per day adults are able to use their strengths, the more likely they are to report that they: have ample energy; feel well-rested and happy; laugh a lot; feel respected and proud. 2. Gallup studies indicate that people who do have the opportunity to focus on their strengths every day are six times more likely to be engaged in their jobs. 3. When you find ways to consciously engage in, and use, your strengths realize that you're sharing your natural talents and gifts with the world. 4. Strengths-usage is often associated with feelings of accomplishment and timelessness - often referred to being 'in the flow' or 'in the zone'. 5. Studies also reveal that if you use your strengths every day you are three times more likely to report having an excellent quality of life in general. 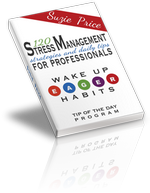 120 Re-Calibrate Daily Action Tips, which amounts to over 30 hours of training, delivered in 'bite-sized' , easy to focus on, tips to help build upon the ideas shared here in this Article. 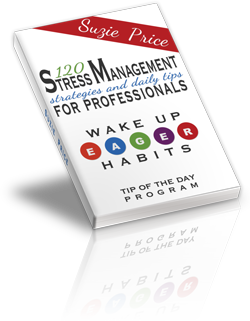 Check out 120 Stress management Strategies and Daily Tips for Professionals, Here. 7. A happy and energized YOU (because you're using your strengths and feeling satisfied) adds great value and goodness everywhere you go, with everyone you meet, and in everything you do! 8. According to Gallup data, employees who simply learn, or are more knowledgeable, about their own strengths are 7.8% more productive. 9. Managers who built upon the strengths of their employees were 86% more successful, than managers who didn’t. 10. Managers often do a better job of "seeing" & acknowledging others' strengths if they have fully embraced their own strengths. It's pretty hard to give to another what you don't already have or know for yourself. 12. People whose strengths and talents were identified perceived they had more control over their future than others who did not know their strengths or talents. 15. Knowing your strengths can help you better manage blind spots and/or 'weaknesses' - since blind spots/'weaknesses' are often just your strengths over-used. 16. So many people don't know their strengths which could possibly be one reason for such wide-spread job dis-satisfaction. 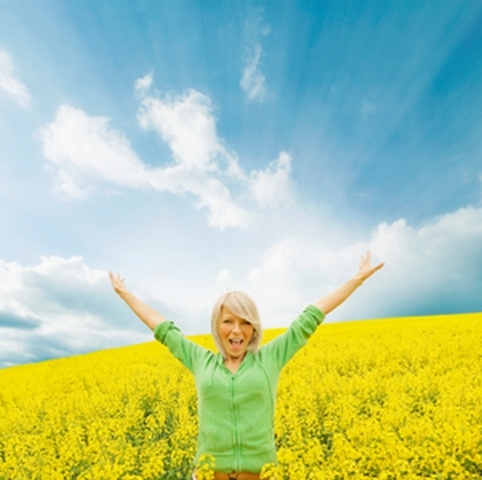 A 2012 study showed that three in four adults are NOT using their strengths on a daily basis. Three in four! There's a lot of room for improvement!! 17. Adults who ARE able to use their talents and strengths at work report less stress, more happiness, and more energy. Daily Tips for Developing This Area. If wanna be happy - the facts, the studies and your own solid intuitive instincts and experience tell you that naming, claiming and using your strengths more every day is one very solid pathway toward finding and living with more energy and daily motivation. This a perfect awareness, but I also want you to realize that most of the people around you are not encouraging a focus on strengths. Don't let this obstacle keep you from focusing there though. For example, pretty much every assessment debrief that I do, whether it's with a CEO or an Administrator, their cultural bias is to focus on 'low scoring areas'. I can review with them 100+ great characteristics that they bring to their role, but everyone is more worried about that "one negative thing." Yes development areas do require attention. And you should cover your bases when something you are doing is causing "stub your toe" moments and/or trouble. But I can guarantee that most of your "stub your toe" moments come from the over-use of your strengths. You do them so well, that oftentimes you're not even aware that they are a strength. Therefore you 'miss' opportunities to manage them and they then become a blind spot. "Building on your strengths is about responsibility...Your natural talents are gifts from God or accidents of birth...Either way you had nothing to do with them. weaknesses isn't a sign of diligent humility. \It is almost irresponsible."